[toc] Hot flashes can be treated by applying a few simple home based methods that are described in this article. They are natural and usually do not have many side effects. Natural products like black cohosh or flaxseed oil stabilize the hormones and reduce the effects of hot flashes. 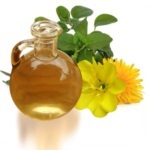 Other natural remedies include the use of red clover and evening primrose oil. Even herbs like sage, licorice are also beneficial to reduce the symptoms of hot flashes. Your diet should be enriched with vitamins and your lifestyle should be healthy. Here are a few remedies for treating hot flashes. Black Cohosh and red clover both are widely used to treat the symptoms of hot flashes. 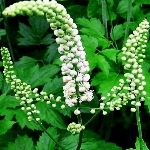 Black Cohosh supplements contain estrogens and are available in pharmaceutical stores and should be taken only after consulting a doctor. They provide relief from excessive sweating and other symptoms of hot flash. Red clover contains isoflavons which are phyto-estrogens. It reduces the intensity of hot flashes. Red clover supplements can also lessen the frequency of hot flashes. Take the supplements after consulting your physician to get relief and comfort. Flaxseed oil contains fatty acids that are effective for the treatment of hot flashes. Plant lignans are present in flax that resembles estrogen. These stabilize the estrogen level in your body and reduce the symptoms of hot flashes. Evening primrose also controls the production of estrogen and helps to treat hot flashes. It cools the skin and also acts as a sleeping aid due to its content of gamma linolenic acid. Taking flaxseed oil or evening primrose supplements are immensely beneficial. 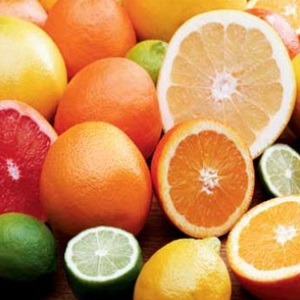 Vitamin C contains flavanoids that can reduce the frequency of hot flashes. Include lots of citrus fruits like oranges, strawberries, kiwis, guavas and lemons in your diet as they contain Vitamin C in high proportions. Vitamin C is also important for synthesizing calcium in the body. These are also rich sources of antioxidants. Vitamin E also reduces the symptoms of hot flashes. Almonds, Swiss Chards, spinach and turnip are rich in Vitamin E. Even olives, nuts, broccoli and papaya are useful for treating hot flashes. 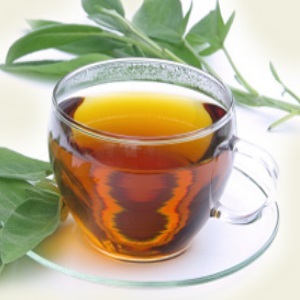 Drink sage tea to reduce the symptoms of hot flashes. Take a few sage leaves and brew them in hot water. Strain the liquid and allow it to cool down a bit. You may add 1 teaspoon of honey or a teaspoon of sugar. Drink sage tea 2-3 times every day. Other herbs which also stabilize estrogen are licorice roots, damiana, sarsaparilla, red raspberry leaf and motherwort. Sage also improves the digestion and gives relief from headaches. Taking any of these herbs is very effective. It is of utmost importance to control the stress level. Keep calm and avoid taking tensions. 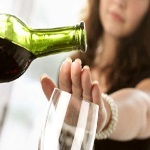 Avoid caffeine, alcohol, cigarettes and spicy foods. Wear comfortable clothes and do not wear tight clothes. Keep yourself hydrated and stay fresh and clean. Avoid synthetic clothes and wear clothes made from breathable fibres like cotton and exercise daily. Go for breathing exercises as well. You can opt for yoga and meditation to stay cool. Maintain a disciplined lifestyle and eat a healthy and balanced diet. These are extremely useful in treating the symptoms of hot flashes. Consult a doctor before trying any of the supplements. The combination of a healthy lifestyle along with the given supplements can cure the symptoms of hot flashes completely.